This will install the necessary programs needed to download, compile, and install the drivers and software. I generally followed this procedure for installing these programs. I did not install Kalibrate as the examples didn’t work for me and I knew (I think) a better way to calibrate the dongle. no-install-recommends: only installs the main dependencies for the package(s) and no suggested dependencies. 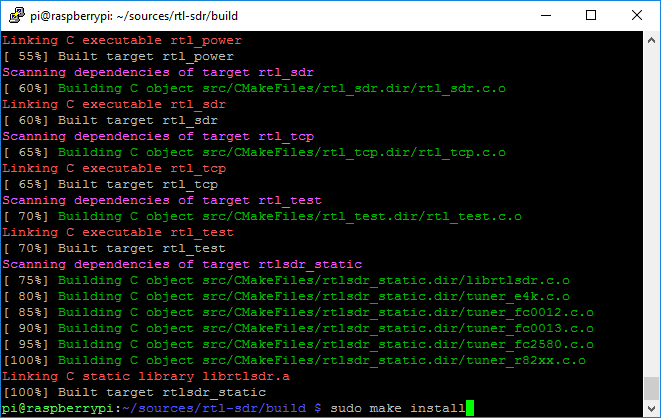 This will install drivers and programs for the RTL-SDR dongle. 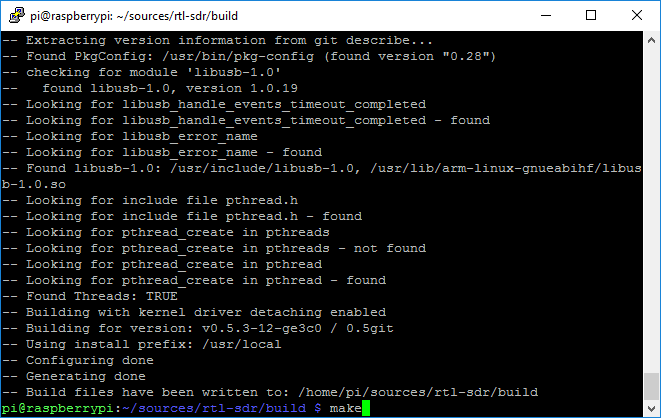 Git: version control system which includes the ability to make code changes to a repository and submit the changes for approval. 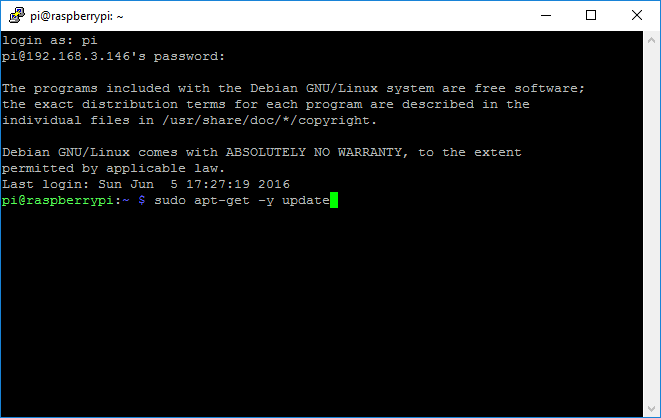 It will be used to make copies of repositories (source code) from the Internet to the Pi. Create a place to store compiled (built) code (binary files). Cmake: checks details about the machine on which the software is going to be installed. This script checks for dependencies. It generates Makefile. 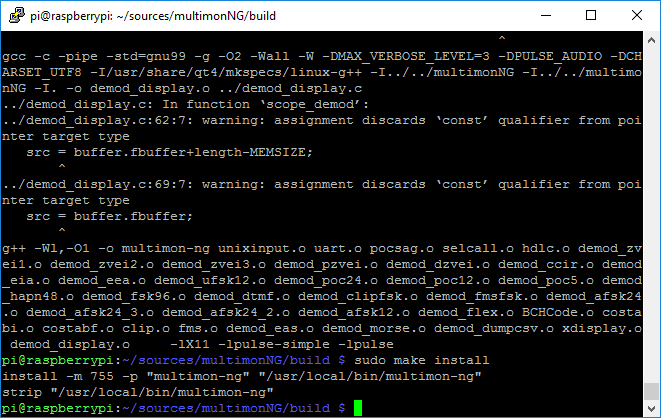 Makefile indicates the sequence that Linux must follow to build various components / sub-programs of the software. This is similar to ‘configure’ (details from: codecoffee). ldconfig: creates the necessary links and cache to the most recent shared libraries. 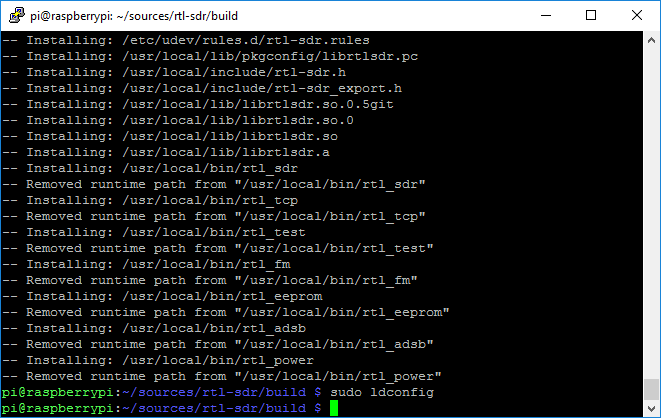 We just installed new libraries for the RTL-SDR dongle and ldconfig will make them active. This will install MultimonNG which decodes digital transmissions. It is a fork of Multimon with added features. A list of supported modes is available in their README. For a description of these command see the RTL-SDR drivers section. 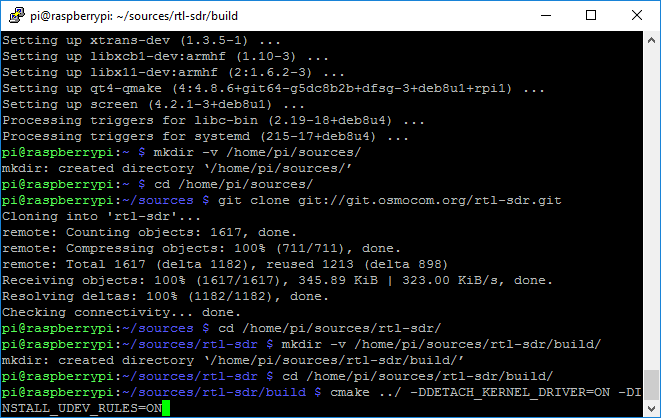 qmake is similar to cmake. 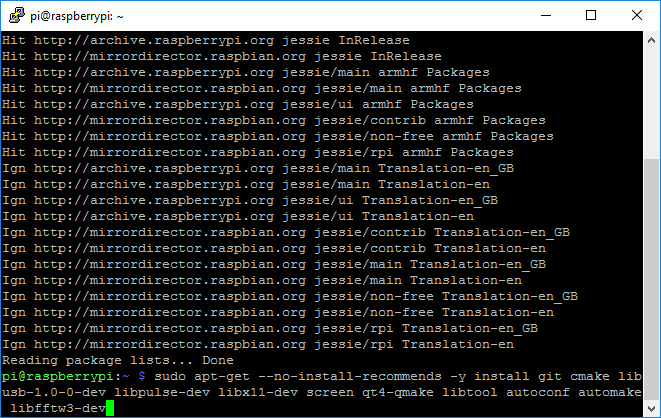 For a description of this command see the RTL-SDR drivers section. 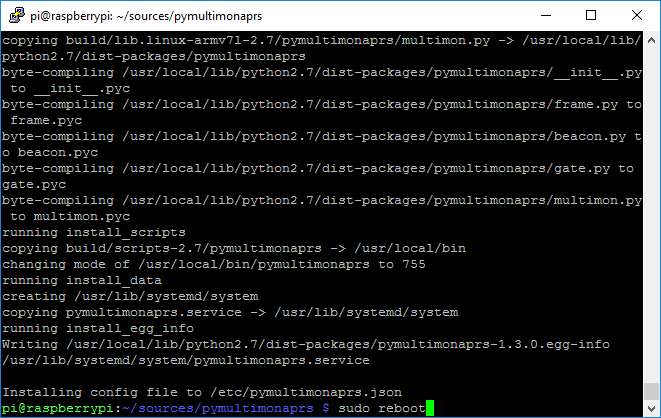 This will install pymultimonaprs which relays decoded data to the APRS-IS network. python: is a programming language interpreter. 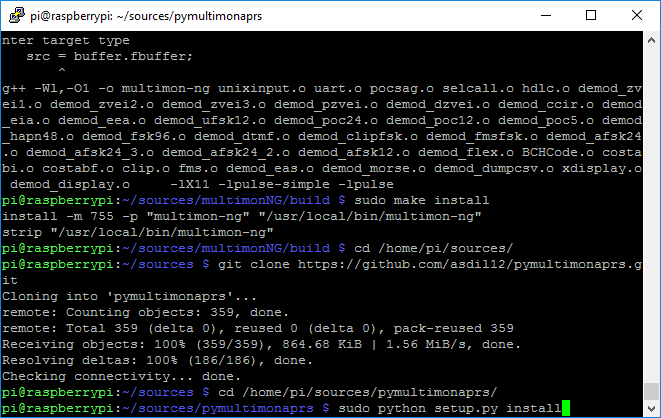 setup.py: script written by the author which python executes. 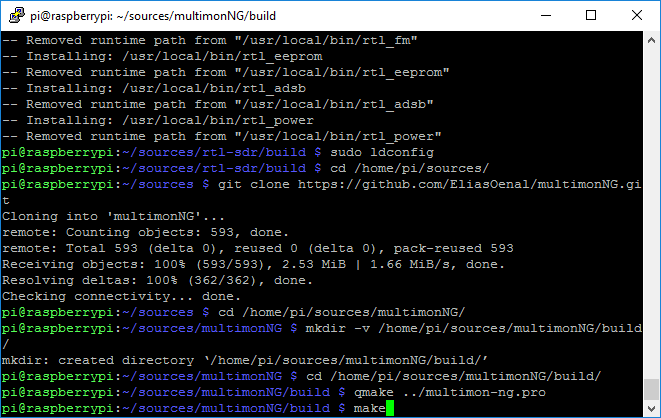 install: parameter telling setup.py which command set to run. Reboot once we’re done to get everything in place.